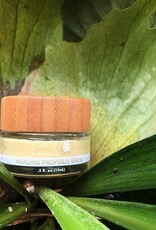 Home / Lau Botanicals - Healing Propolis Balm 0.5 fl.oz. 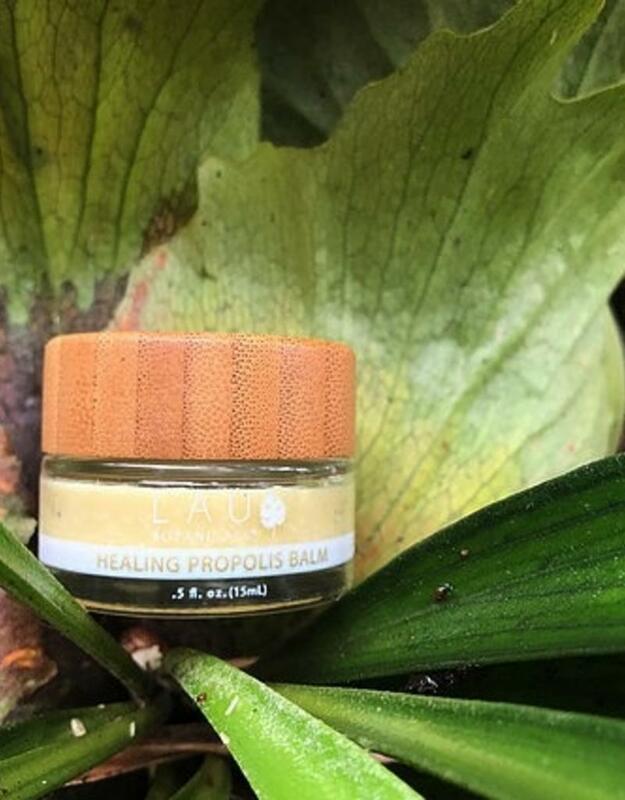 This magical balm is enriched with bee propolis which has natural antibacterial and anti-fungal properties and penetrates the skin to fight off unwanted acne-causing bacteria. Boosted with a blend of organic essential oils and luscious butters, this miracle worker's true purpose is to restore the skin to its optimal state of health. Ritual- Massage a small amount between fingers until it turns into a silky oil. Apply a small amount to area that needs treatment. Can be used as a: Spot treatment to reduce acne, chapped lips, cold sores, blisters, or ingrown hairs. This blend is also great for after shaving or waxing to prevent irritations. Separation is natural, if this occurs apply a small amount of the balm in between your fingers until it turns into a silky oil.